If you are sending across an electronic message, you must make sure that you comply with the primary 7 requirements of electronic communication with another. Make sure you convert your list into a double opt-in list. People will have to confirm twice before they can receive your email newsletters. The people, who subscribe to your email newsletter, should not think it is SPAM and delete your messages. You should, therefore, make sure that they understand how the double opt-in process works. If you want an effective e-mail list, you must make sure that you set up the double opt-in process for your email newsletters. This will help reduce complaints against you that you are spamming the inboxes of your subscribers. When someone blames you for spamming, it is a very serious matter. Unfortunately, the list of spam trigger words is never complete. Furthermore, it is not always the case that when you use a spam trigger word, your mail will necessarily end up in the spam folder of your subscribers. 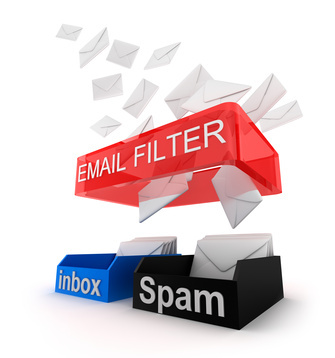 The main thing that you have to remember is that the spam filter is only trying to remove promotions and commercial advertisements. So, you should sparingly use such words or completely avoid them in order to prevent your newsletter from landing in the spam folder of your subscribers. Phishing emails are fraudulent emails that are sent out to look as if they are from trusted companies to get the details of the users. You would thus want to avoid phrases that are used solely in phishing emails in order to avoid being reported as a person, who indulges in phishing. If your website is found on one of these blacklists, then make sure you follow up with the website that has put you on their blacklist.